I know lots of kids, especially boys, who would be interested in this book. The subject alone makes it ideal for youngsters who are interested in the ecology of the natural world and, in particular the little-known world of bats. A bat house in the backyard would be the ideal thing to challenge their parents with, and what kid could resist that? My children love animals. They were given a Zoo Books subscription that they eagerly look forward to each month. They would love to learn about the different varieties of bats. Understanding the myth about the vampire bats prevalence would be nice as well. Where we live, we have a lot of bats. Thanks! my boys both love animals and are fascinated by anything that flies! Our current project is a butterfly garden but we have a bat house planned next. So this book would be fun! My child loves to read and we don't have any about bats...yet...looks cute! 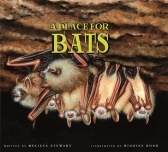 My children love to read books about animals so they would love this one about Bats. I think bats are amazing. I think my daughter would love the illustrations in this book. My son loves learning about all animals, so I'm sure that he'll love this book. I love bats and I think my kids will love the illustrations. My daughter would be interested in learning how bats can help the environment and seeing where they live. We'd think that bats are rather icky and interesting - all at the same time! love this. They have been fascinated by bats since we visited a bat cave on vacation recently. They would really enjoy reading this book! I think my granddaughter would find it interesting to know that bats carry nectar to help pollinate plants. My son loves animals of all kinds, but he's still learning about different kinds (not yet 2, but very bright). My 2 sons would like to find out more information on bats. They think bats are very interesting. My kids like to learn and my oldest really loves to read. They havent read much about bats. My son loves animals, and books, so I'm sure he would love this. My sons loves bats... I know they would love this book! Thanks!!! We're a family of tree huggin, animal lovin eco-nuts so this is right up our alley. i'm sure our 4 year old, mikayla will love it! My nephew would love this book. He's all about bats! My grandsons would love this book!! They love nature - you know bugs, worms, bats, fish . . . The love the bats at the Dallas World Aquarium - they think they are AWESOME. I think my 7 year old who loves bats would love the pictures! I like that the book teaches facts about bats, instead of just telling a story! I would love to win it for my nephew! Thanks! I have a daughter with Asperger's that loves all animals, but especially the "misunderstood" animals that are often frightening. Bats are one of those mysterious animals that she likes. I'm sure she'd love to learn more about them. My grandson just recently saw bats flying around a streetlight and was fascinated......he would love this one! My 6 yr old boy loves factual books so I know he'd love this book, thanks for the giveaway! The life like illusrtations will appeal to my child. 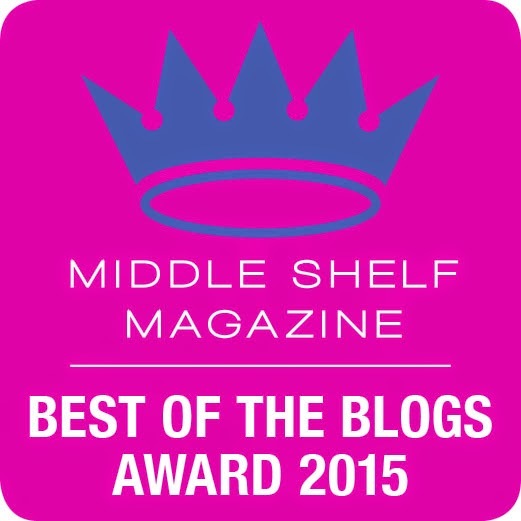 My daughter would love to read about the bat house. My daughter loves to read about different animals!